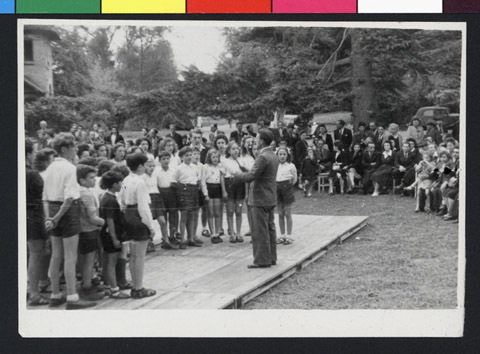 JDC - Archives : The girls choir performing on stage at a UJRE facility in Andresy. Title The girls choir performing on stage at a UJRE facility in Andresy. Description The girls choir performing on stage at a UJRE facility in Andresy. JDC worked with local organizations to fund 61 children’s homes scattered across France, supporting approximately 15,000 Jewish children of all nationalities.